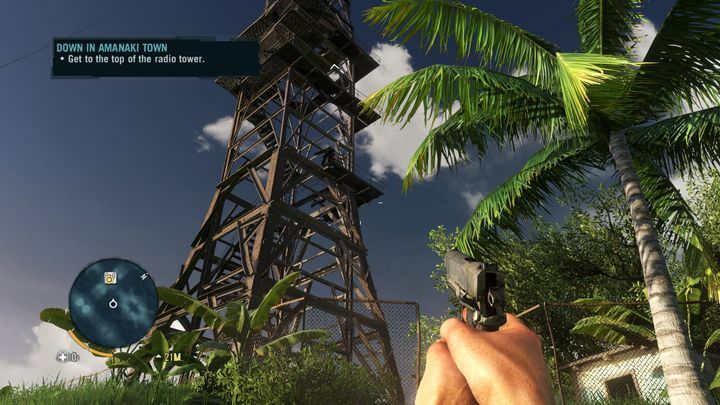 Drew Holmes, lead writer for Far Cry 5, surprised some when he said that Ubisoft’s upcoming shooter would not be featuring the radio towers which had become a staple of the series. After all, these featured in Far Cry 3, arguably the series’ best game to date, and also in its superb follow-up Far Cry 4. And while Far Cry Primal wasn’t exactly the bee’s knees for many gamers, that game also had a radio tower equivalent in the bonfires. There won’t be any radio towers in Far Cry 5, though. Speaking to GamingBolt, Far Cry 5’s lead writer explained Ubisoft’s reason for removing what many may think is one of the series’ cooler ideas. “So the goal really was to get rid of the towers as a way of forcing me to interact with the people, pay attention to my surroundings. And sort of intuitively figure out, ‘well, if there’s a town here, there’s a gas station down the road,’ so everything sort of feels like a believable world”, Drew said. Far Cry 5’s lead writer explained that encouraging exploration was also the reason why another Far Cry staple, the mini-map, will be missing in the next instalment. So this means that climbing the radio towers interspersed throughout the map, and destroying a radio device once having reached the summit in order to uncover the surrounding section of the map and reveal the location of neighbouring points of interest, is something we won’t be doing in the next Far Cry game. And this is certainly a pity, as climbing these towers was a joy in the previous Far Cry games, irrespective of having to do this to reveal sections of the map piecemeal. Actually, climbing each tower was a challenge in itself, with some of these being superbly designed tests of skill that required some pretty good manoeuvring to get to the top. These also added a little vertical gameplay and parkour in Far Cry 3, a game that mostly took place on the flat terrain of its South Pacific islands. And the radio towers, sometimes located in high-altitude, difficult to reach places, sure were a nice complement to Far Cry 4’s mountainous Himalayan terrain. 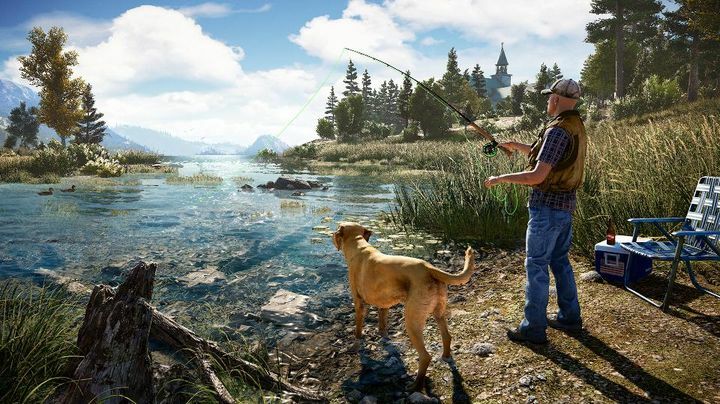 Their absence in Far Cry 5 could change the game for the better and encourage players to explore more though, instead of relying on an old-fashioned mechanic like climbing the radio towers to uncover the map… Or it may not. Because the truth is that there was a sense of reward tied to finally getting to the top of these steel behemoths in Far Cry 3, of having conquered the heights, that made it one of the best aspects of the game. And Far Cry 4’s renamed “bell towers” added to this by pointing to specific places of interest once you had reached the top and disabled the radio broadcasting the propaganda of the game’s antagonist, the evil dictator Pagan Min. Actually, listening to the often-funny propaganda broadcasts while climbing the towers was one of the highlights of Ubisoft’s 2014 game. But I’ve already digested the idea that one of my favourite bits of Far Cry 3 and 4 (climbing the towers to uncover a portion of the game’s map) won’t be in Far Cry 5. But here’s hoping, though, this won’t cripple Ubisoft’s upcoming shooter, and that it will end up being as memorable as other Far Cry games have been, no matter how much die-hard fans like me might end up missing one of the series’ cooler ideas to date.